Gigabyte is amongst the select NVIDIA board partners that offer new Maxwell based high-end graphics cards from day one. The GTX 980 G1 Gaming ships with Gigabyte's latest Windforce cooler, which should be well capable of keeping the card cool at low temperatures. Apart from that there is a custom design PCB, so this pixel cannon looks like a really interesting contender. 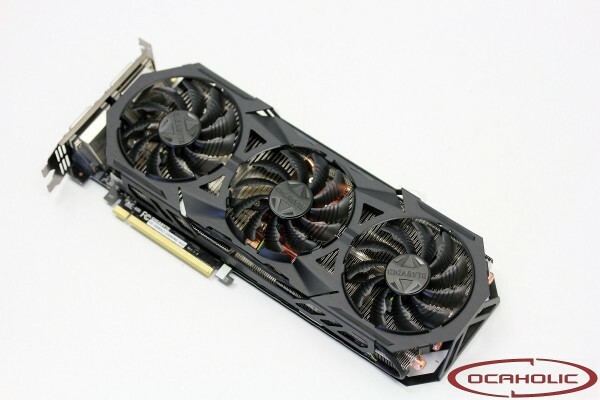 Gigabyte is amongst the first Nvidia add-in-card (AIC) partners that have decided to introduce a new custom GTX 980 graphics card that will use NVIDIAs latest and greatest GM204 chip. For this graphics card, Gigabyte makes use of a custom PCB paired up with its own custom Windforce 3X 600W cooler and on the flip-side of the card, there is a backplate with G1 Gaming design. A quick look at the specs also reveals that the card ships factory overclocked. As always before the launch of a new chip generation from NVIDIA there have been loads of rumors on the specs before the launch. Browsing the specifications of this card we find 2048 CUDA cores, 128 TMUs and 64 ROPs. 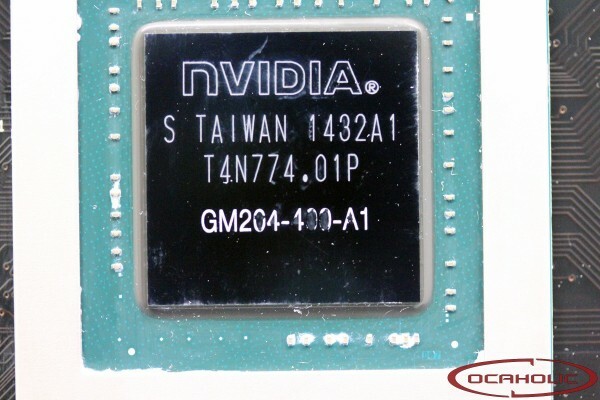 For comparison reasons, the GTX 780 features 2304 CUDA cores, 192 TMUs and 48 ROPs. This means that NVIDIA cut down the CUDA core count as well as TMU count, but at the same time increased the number of ROPs. Looking for reference clocks we find 1'126 MHz core clock and 1'216 MHz boost clock. As you can see from the GPU-Z screenshot below, Gigabyte decided to use a rather beefy high factory-overclock on the new GTX 980 G1 Gaming. While the reference GTX 980 with GM204 GPU is set to work at 1'126 MHz for the base clock and 1'216 MHz for the GPU Boost clock, the Gigabyte GTX 980 G1 Gaming runs at 1'228 MHz core clock and 1'329 MHz boost clock. When it comes to memory clock speeds we see a tiny, 12 MHz frequency boost, which makes the chips run at 7'012 MHz. Combine this with a 256 Bit memory interface and you end up with a total of 224 Gigabyte of memory bandwidth. While the typical boost clock is set at 1'329 MHz, the maximum boost of 1'380 MHz was achieved quite easily and the GTX 980 G1 Gaming held that clock most of the load time due to the capable Windforce 3X 600W cooler as well as good TDP target (nVidia's Boost technology being power-based and not temperature-based on this card). At this point we also run Furmark to see how high the card overclocks, when the GPU is under full load. This way we can determine a worst case scenario regarding maximum boost clock. With the card we see clocks speeds of 1'354 MHz at 1.175v. Overclocking this card we actually had quite some fun, since you can push this little beast quite high. The highest stable clocks we reached were 1'563 MHz on the GPU and 2'075 MHz on the memory (effective 8'300 MHz). 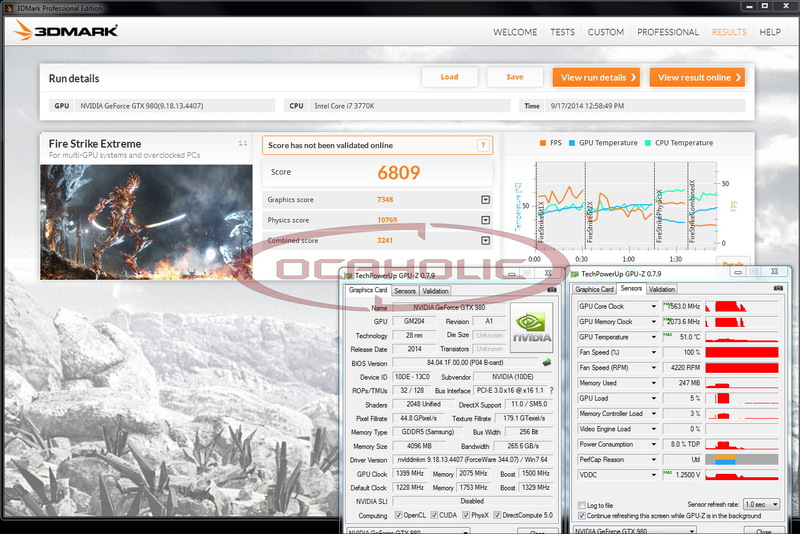 The screenshot below shows you what kind you of score you can get running 3DMark Fire Strike Extreme at these clocks. In order to make the GPU run stably, we had to apply 1.25 volt.